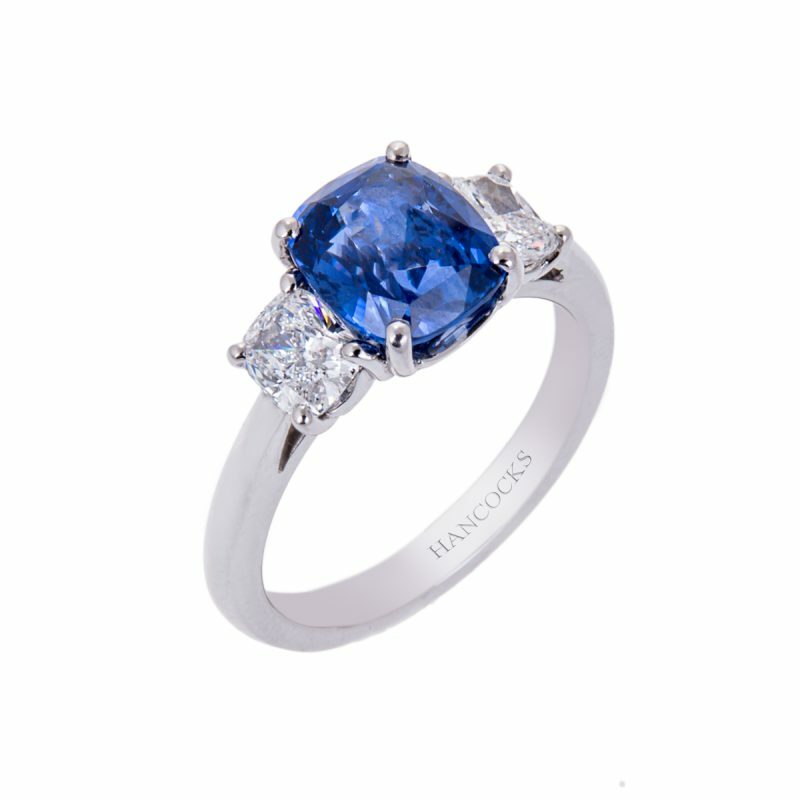 A cushion cut sapphire and diamond 3-stone ring. 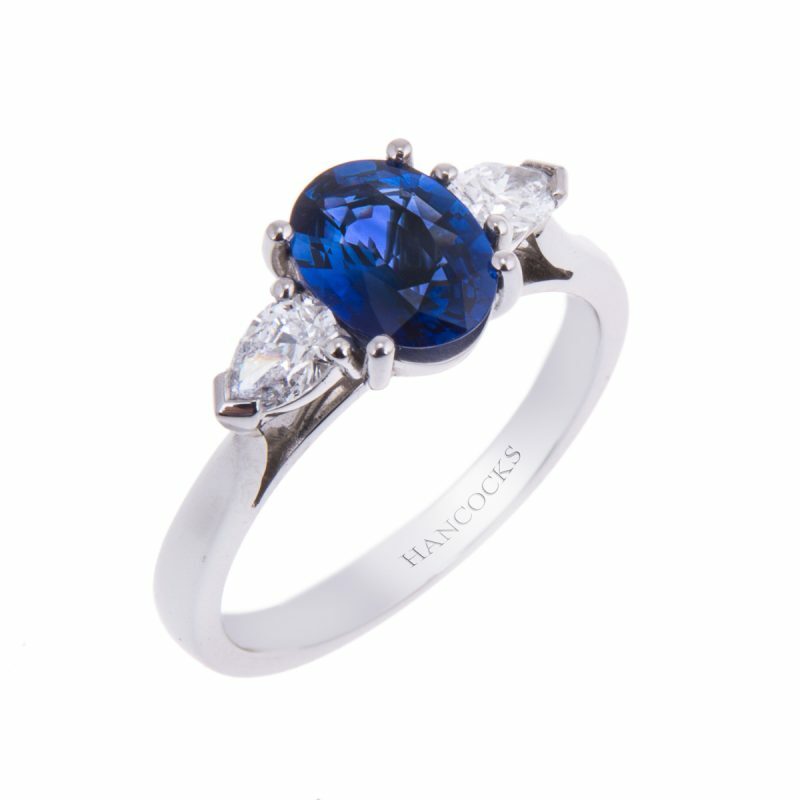 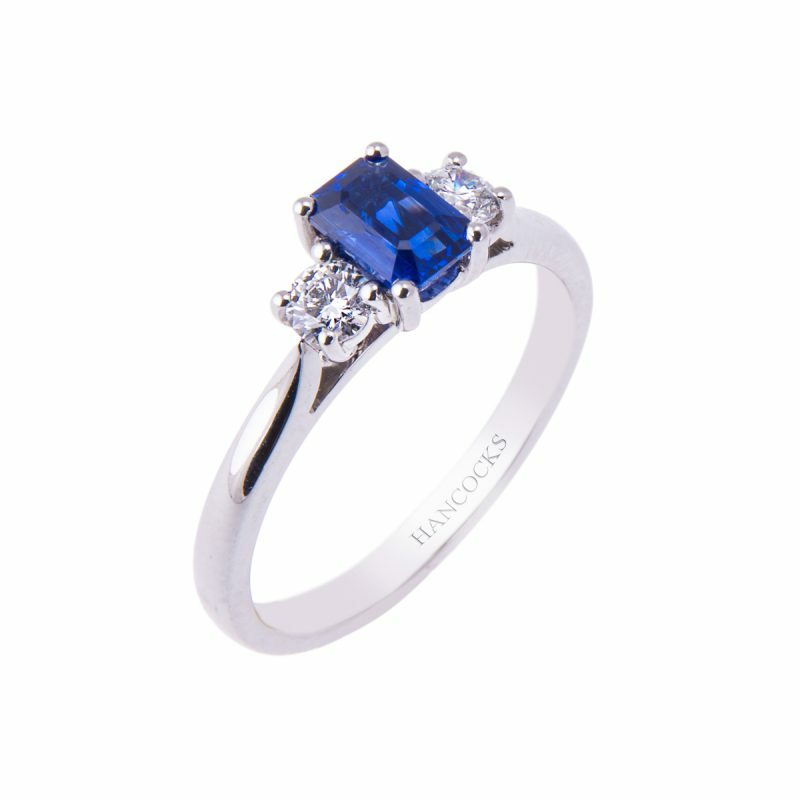 Add a touch of elegance with this stunning sapphire and diamond engagement ring, perfectly accentuated with a bold splash of colour. 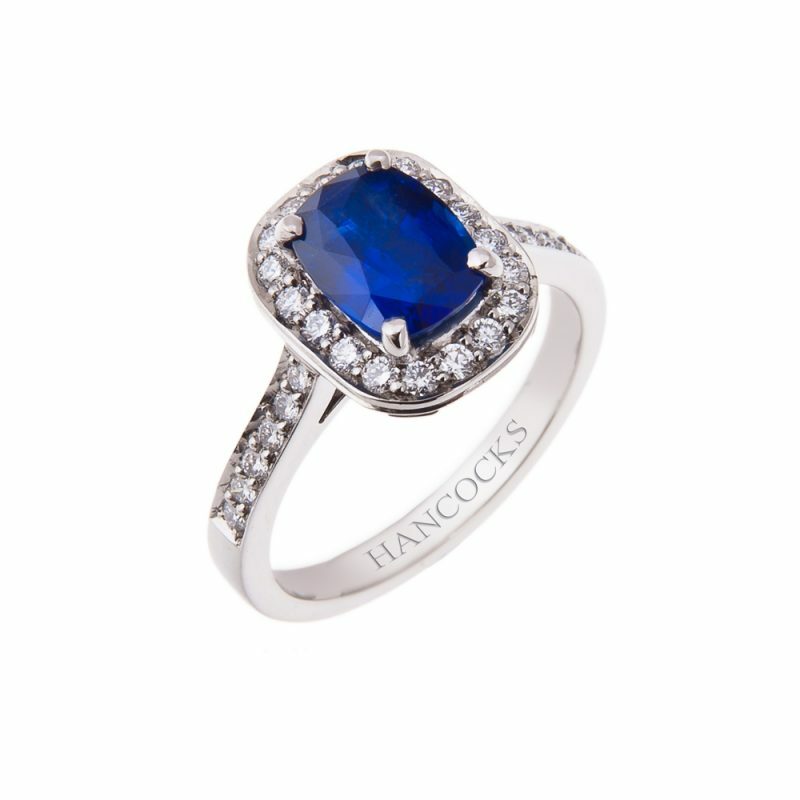 Mounted in a platinum claw setting, the rich velvety blue central sapphire is flanked by 2 matched cushion cut diamonds to add that all important show stopping sparkle. 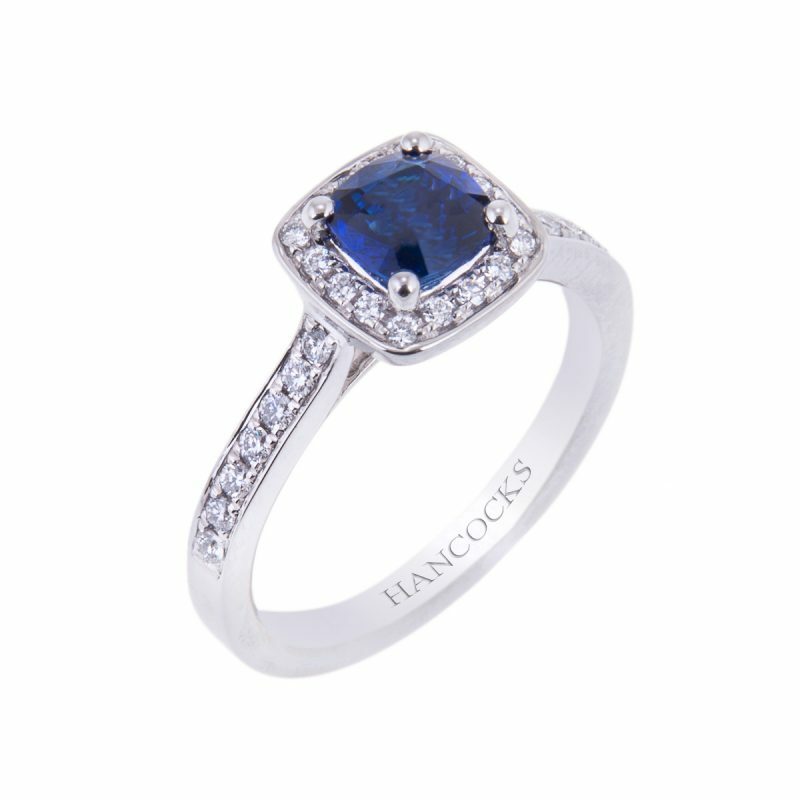 This clever wed-fit setting allows any of Hancocks wedding ring to sit perfectly.